Looking for an ideal and desired job? Well! Ignite Desk helps you find a job that you love and dream of. 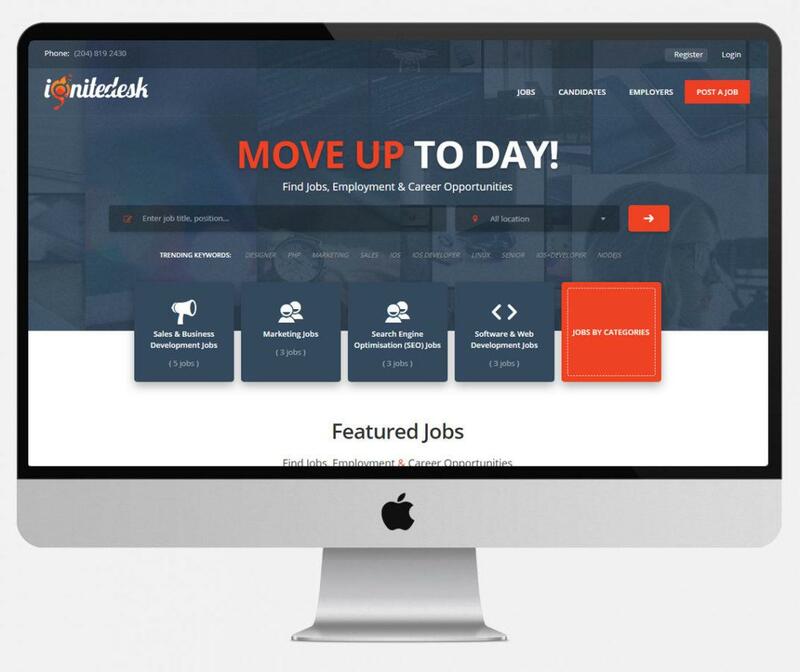 Ignite Desk Assists You Find Best Jobs, Employers & Career Advice! At Ignite Desk, we assist you finding your best jobs that you will love. We also provide extra hand to employers to find the best candidate for your company. If you wish we can also arrange career advice session with our career consultants to find your career path. If you are an employer, then we have some good news for you. Ignite Desk allows employers to have an exclusive account for their company with the feature of being followed. We have more than a million of jobs awaiting you. So, all you have to do is use the search bar to search the job. Guess what? It is absolutely free. You read it right! We never charge you for searching jobs. Featured Jobs are the jobs that stand out among other fee jobs available on Ignite Desk. They are clearly marked in your job feed. These are paid jobs by employer who wants his job post stand out on Ignite Desk. We allow free registration for both candidates and employer. Just a simple registration form to be filed and you are all set to go. Ensure to create your profile after signing up. There are limitless benefits and perks of Ignite Desk. Being employer, you can post free jobs with a limited features and options to ensure you had access. You can checkout company’s profile before you apply for a job to understand company’s culture. For employers’ job posting account, we offer reasonable package ranging from $5 to $10. We have expert advice facility that you may need for your career e.g. interview tips, salary negotiation. Create an account and upload your CV so that you can be found by the employers searching our databases daily. We have a separate section for recent jobs where all the new and fresh jobs are listed. 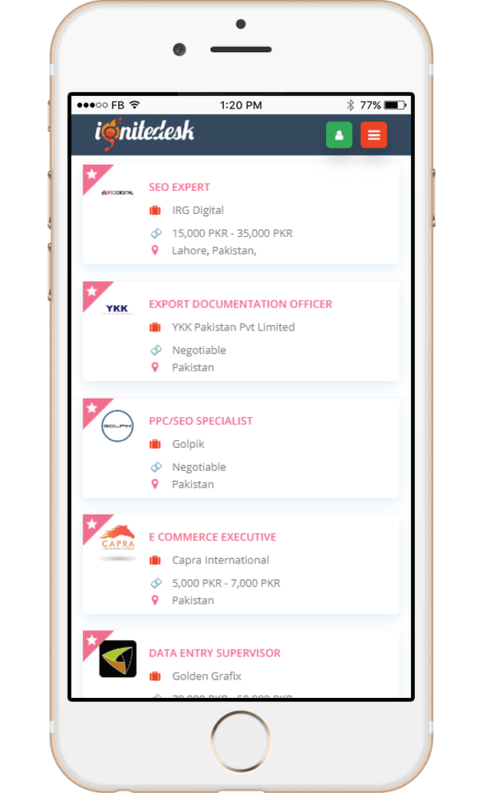 Candidates an easily access the new jobs. We have top companies registered on Ignite Desk. They are even listed in a separate section given on Ignite Desk. Are you looking for a job? You can now follow your favourite companies on your android phone. 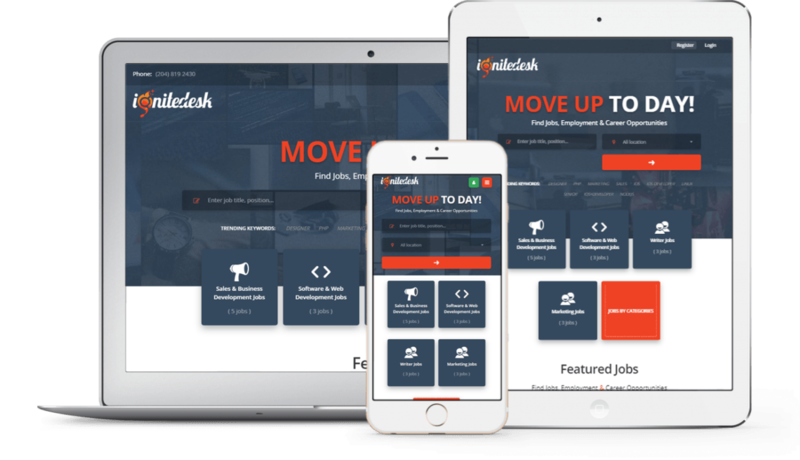 Get Job Alerts in Your Desktop! If you don’t have an android you don’t have to be worried! Ignite Desk’s job alerts can be received on your desktop as well with a few simple clicks.